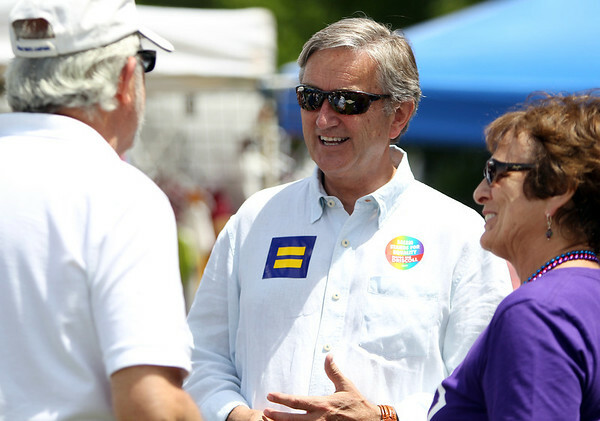 Congressman John Tierney, center, and his wife Patrice, right, talk with supporters during the annual Gay Pride Parade festivities at Salem Common on Saturday afternoon. DAVID LE/Staff photo. 6/21/14.